Today, we are pleased to share the first version of an early alpha‑level patch that enables HTTP/2 support in NGINX. Editor – HTTP/2 is fully supported in NGINX 1.9.5 and later, and NGINX Plus R7 and later. The patch described in this post is no longer necessary, but is provided for the convenience of customers using NGINX versions 1.9.0 through 1.9.4. HTTP/2 is new, which means there is quite a bit of fear and misunderstanding around it. One of the biggest fears is that supporting HTTP/2 requires rearchitecting the entire application. That fear, and many of the others around HTTP/2, are unfounded. With NGINX, HTTP/2 can be supported with very little change to application architecture. As of June 2015, over 50% of users run web browsers that support HTTP/2. The adoption of HTTP/2 by web browsers is strong and will continue to increase over time. To support both HTTP/1.x and HTTP/2 side by side, NGINX implements the Application Layer Protocol Negotiation (ALPN) extension to TLS. When a web browser connects to a server, it sends a list of the protocols it supports. If h2 is in the list, NGINX uses HTTP/2 for that connection. If the browser doesn’t implement ALPN or doesn’t include h2 in its list of supported protocols, NGINX falls back to HTTP/1.x. As you might be aware, there are a number of HTTP/1.x optimizations that are now “anti‑patterns” with HTTP/2. Optimizations such as image spriting, concatenation, inlining, and domain sharding that helped performance with HTTP/1.x are no longer needed with HTTP/2. You can adopt HTTP/2 even if you use these optimizations, but we recommend that you remove them eventually to maximize performance with HTTP/2. Editor – HTTP/2 is fully supported in NGINX 1.9.5 and later, and NGINX Plus R7 and later. 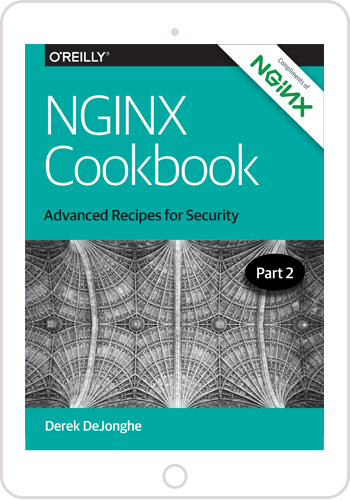 These instructions are no longer necessary, but are provided for the convenience of customers running NGINX versions 1.9.0 through 1.9.4. Install OpenSSL 1.0.2 or later. This is required to support the ALPN extension to TLS that our HTTP/2 implementation uses. Download and unpack the source code for an NGINX version between 1.9.0 and 1.9.4, if necessary. The example is for NGINX 1.9.3. Do a dry run to make sure the patch will be applied cleanly. If no errors are reported, apply the patch. Recompile NGINX, including the following options along with the others you normally include. Note: The ssl parameter is required. At the time of this writing HTTP/2 is not supported without SSL encryption by browsers. A good way to verify that HTTP/2 translation is working is the HTTP/2 and SPDY indicator plug‑in for Google Chrome. A similar plug‑in is available for Firefox. It is important to note that the patch is at an early alpha level of quality and should not be used in production. We are still actively working on bringing our HTTP/2 implementation to production quality. We would very much appreciate your help in achieving NGINX Inc.’s standards for reliability and performance by testing this alpha in nonproduction environments and sending feedback to the nginx-devel mailing list. HTTP/2’s ‘Server Push’ feature is not supported in this patch and will not be supported in the first production‑ready release of the HTTP/2 implementation. This feature might appear in a future NGINX release. Applying this patch removes the SPDY module from the NGINX codebase and replaces it with the HTTP/2 module. After applying this patch, you can no longer configure NGINX to use SPDY. This will also be the case for the production‑ready release of the HTTP/2 implementation in both NGINX and NGINX Plus. SPDY is being deprecated by Google in early 2016, so there is no need to support both.